Dutroux case and X-Dossier victim-witnesses Note of caution: with such notorious manipulative debunkers as Verhaeghen and Alvarez involved, together with evangelical conspiracy researchers as Fritz Springmeier and the Dutch Robin de Ruiter, this story has been rendered pretty much completely useless. "Bloodlines of the Illuminati" ", p. 205) and his speeches Fritz Springmeier cites a secret castle situated near the village of Muno in Belgium. This castle according to Springmeier, is a center of the occult and has a cathedral with a dome containing 1000 lights. The castle is referred to as the Mothers-of-Darkness castle and Monarch programming is supposedly performed on children there. This castle is also known as the "Castle of Kings". 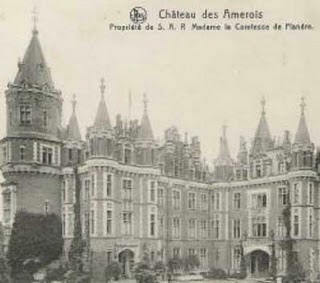 Its real name is "Chateau des Amerois" and it is located in Bouillon (Belgium), near the village of Muno. 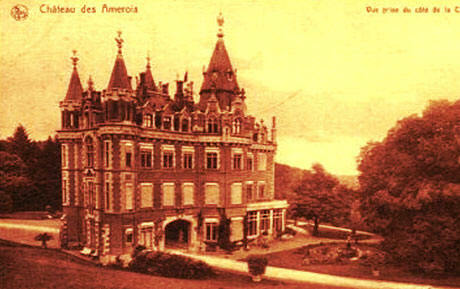 This castle and its domain, the Muno forest once belonged to Prince Philippe of Saxe-Cobourg-Gotha, Count of Flanders and father of King Albert I. He purchased the property in 1869 to the Marquis van der Noot d'Assche.The castle of Romantic style was built in 1877 for Philippe of Saxe-Cobourg Gotha by the architect Gustave Saintenoy. It has 365 windows. 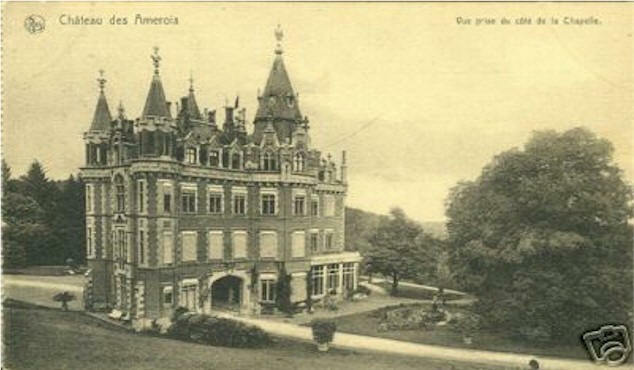 This castle was later bought by Alice Solvay, niece of the Belgian scientist and industrialist Ernest Solvay and today is apparently still owned by the Solvay's.